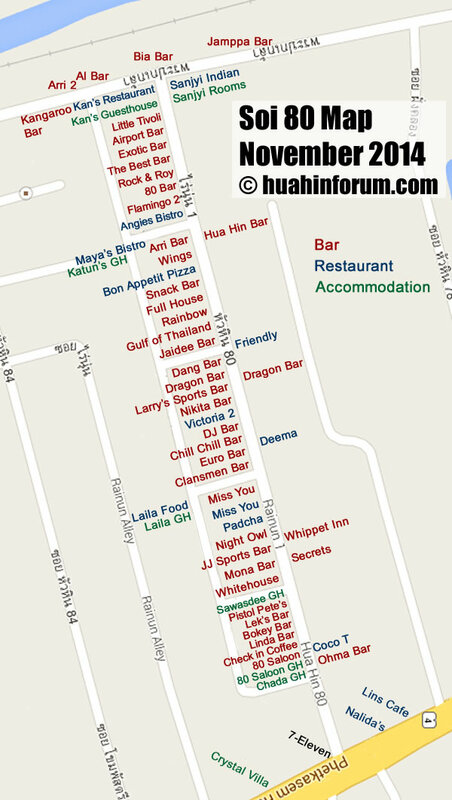 Use the bar map below to plan your hua hin bar crawls, as you can see a nice square to stagger around has been layed out. But dont forget to visit a few of the 'expat' bars such as Johnnie Walkers. If you know of any new watering holes dont hesitate to let us know so we can add them! We know bars in Hua Hin change names and owners frequently so please tell us if there are any mistakes in the listings. We also have a Hua Hin area map for those wanting the bigger picture and a Hua Hin city map for more detail and hotel bookings. 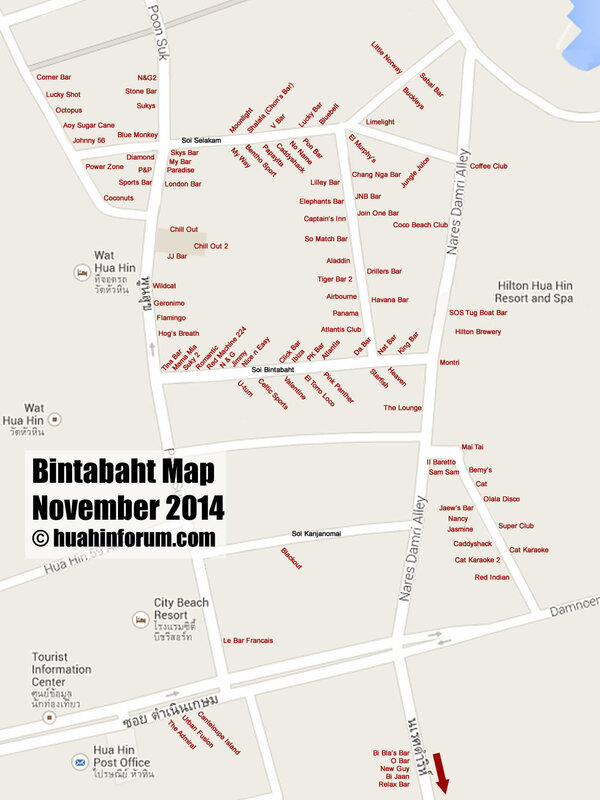 There is also a Khao Takiab map showing bars and restaurants in Takiab.